Kicking off our July/ August theme of War Movies for 2 Reel Quirky Cats, we have a great review from Emma K Wall. Its July already and Thoughts All Sorts and I can reveal this month’s theme and it’s.. (cue drum roll) War Movies. This exciting genre was chosen in relation to our guest movie’s trailer choice, Inglourious Basterds (2009) with our guest this month is Emma from EmmaKWall (explains it all). Emma is a fun and witty movie blogger, and I love her posts which always make me laugh with her humorous way of writing. She’s also contributed to my Here’s Jack Blogathon with this post on Mars Attacks (1996). I would definitely recommend to you check out her posts and her blog. My choice of war film trailer along with our monthly poll will be published next week. So start thinking on your favourites now, so you can add them to our choices next week…unless of course they are already featured! The poll winner will be revealed in August with the final two War preview posts that month. So look out for the clues for next week’s preview coming soon on our Twitter page HERE…. and to give you a clue its a film from the 1980s with a leading star from a recent review on bees!!! bees!!! bees!!!. If you want to read more of our themed posts, you can read my previews on these pages on our Guilty Pleasures and our Horror Comedies. Also do send a message to me if you want to participate with a guest post for a future upcoming monthly theme.. with more details below. 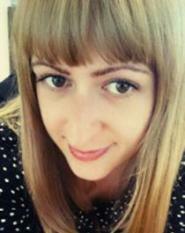 Emma’s blog can be followed HERE with her Twitter page HERE. Thanks to 2 Reel Quirky Cats (both such cool, funny, lovely ladies) for this very fun opportunity to talk about a trailer I STILL enjoy watching (it’s fun sharing things you love). I know everyone’s probably thinking, oh what a surprise (not) Emma’s chosen a Tarantino film. But I’ve loved this trailer since I first saw it and when I was approached (yes I’m trying to making myself sound important) by Catherine and Gill this literally sprang straight to mind. There was no other choice. I just reeeeeally like it. I still enjoy watching it now. I find it very exciting and it gives me that ‘I want to watch that film so effing badly’ feeling. It makes me smile – genuinely. I just watched it on YouTube and grinned. Though hopefully not as creepily (and also kind of sexily) as Eli Roth when he envisions the Nazis feeling the edge of his knife. The duration is 1.45 – not too short, not too long – and it doesn’t give any of the film away, which weirdly trailer-making-people I actually REALLY like. Don’t you absolutely bloody hate it when you watch a trailer and basically see a condensed version of the movie including how it ends. No such nonsense with this. You see JUST enough to know what you’re in for (and make you sit up in your chair) but not enough to know – at all – what’s going to happen. It just looks very, very exciting. Can I be bothered to open another tab to look up in a thesaurus another word for ‘exciting’? No. Can I be bothered to use my brain to think of an adequate substitute for the word ‘exciting’? No. So basically I’m going to say it again – it’s very exciting. I suppose a lot of is the nature of the story, it’s hard Jewish, American soldiers going on a Nazi rampage. And it’s Quentin Tarantino for christ’s sake. Superb characters, the BEST dialogue. It’s just like….GRRRRRRRR, it’s so kick arse, it’s grit teeth and clench hands I want to watch this film! Well that’s how I feel anyway and I’ll admit I’m not always normal. Must say too the music is so brilliant as well, sets it up and kicks in loudly at key moments, accentuating the thrill perfectly. Seriously, what are the odds? I feel like that Electric Light Orchestra song Don’t Bring Me Down. I’m going to watch the trailer again – for medicinal purposes. And yes that is my cat. His name is Snowie. A big thanks to the lovely Emma K Wall for allowing us to add her post, which was copied in full with no alterations. 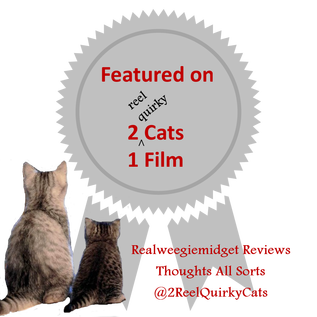 If you are a blogger and would like to be featured here as one of the 2 Reel Quirky Cats monthly Guest Posts, please drop a line to me via my Contact Page. In your email add your blog, choice of preview and the topic choice and after I chat with Thoughts All Sorts, we can approve your request and provide some possible dates. Also write to me individually, if you would like me personally to review your book, TV Programme or movie. More like awesome Emma – she did all the hard work !!! Absolutely. Emma, your review rocks!